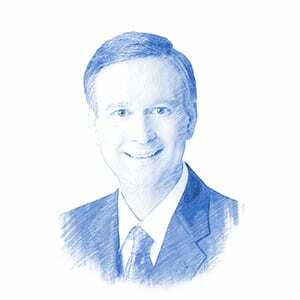 Bob O'Dell, Author at Breaking Israel News | Latest News. Biblical Perspective. For the rest of us, every lunar eclipse has now become known as a blood moon, the origin of which really goes back to the 2008 discovery by Pastor Mark Biltz, of a pattern of four lunar eclipses. For those who consider that the Bible is an accurate representation of history, or entirely from God, the widely published idea that a solar eclipse could corroborate those events seems like good news for sure. We hope this series has helped you understand the man Donald Trump, and to have a glimpse of some of his strengths and weaknesses. UN Resolution 2334 – Both Curse and Blessing? The vote of UN Resolution 2334 was 14-0-1. The abstention was the United States. Understanding Trump: Part 4 – One of a Kind? First, Trump, at heart, is a people person: the ultimate populist. They say Trump is unique, that what he is doing in American politics has never been done before. Trump uses words like paint: captivating us with the colors, but we must remember that the picture he paints can change at any moment. In this article we begin to take on the challenge of trying to understand the man who will soon be leader of the free world, a man who has defied understanding for so many. Evangelical Christians are divided these days about how much good will be accomplished by a Trump Presidency. In part 18 of this series we showed how the Jubilee year is a Sabbath rest, or Shemitah year, and therefore the financial downturn that was expected last Fall may be delayed until the Jubilee year ends in Fall 2016. Many Christians have noted recently that it feels like America has peaked, certainly from a moral standpoint, if not from the standpoint of worldwide esteem. In that article we promised that today we would disclose new information about the source. In part three of our series, we discussed the decision by Pope Francis to call an extraordinary Jubilee for the Catholic Church yearly calendar beginning December 8, 2015. What Does God Want Us to See in the August Stock Market Drops? The recent stock market drops that began on Wednesday August 19th, the 4th of Elul in the Biblical calendar, have shaken many investors.